Ipswich Academy to the rescue! Last weekend, a local football club had arranged a mini tournament but the sudden cold snap prevented them from using their own pitch. 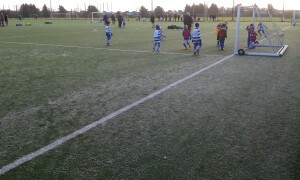 At very short notice we were able to organise for the club to use our 3G pitch. 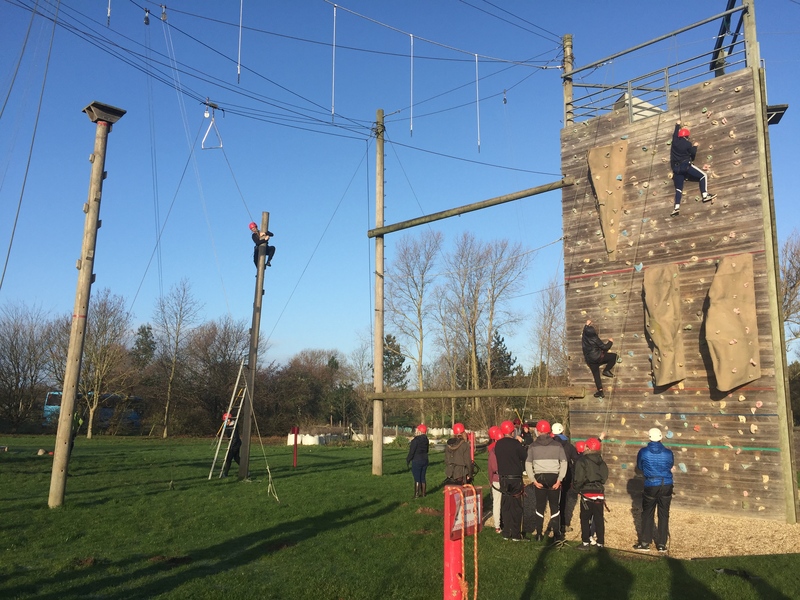 Ipswich Academy – going the extra mile for the local community, whatever the weather! We have a programme of assemblies, which started this morning, to support year 9 while approaching the options evening. Staff from Suffolk One Sixth Form College will present to students after half term. 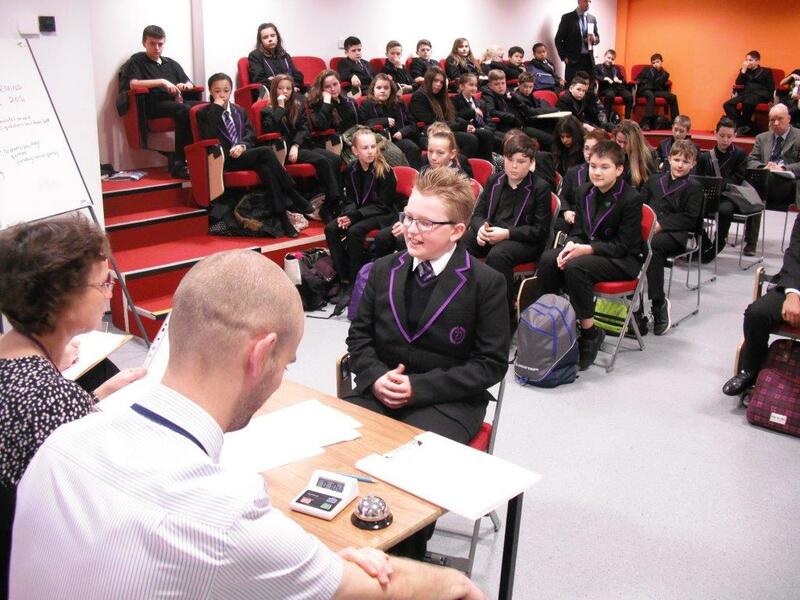 Ipswich Academy’s Book Mastermind final took place over two days in January 2016. This was the 21st anniversary of the Suffolk competition and was a final for the top nine student scorers from the heats that had taken place during the 2nd half of the previous autumn term. There were two rounds; a general knowledge round that followed the Book round where students were asked up to 20 questions in two minutes on the fiction book of their choice. It was a close contest but Dylan Clements in Year 9 proved to be the winner, with Matthew Stothard, also in year 9, runner up, only one point behind. Katie-Marie Kane in Year 7 came 3rd – she has two more years to enter and take the top position! The other six competitors were Yeheni Bodhinayake, Rhianna Burrows, Aviha Faija, Harry Farthing, Angel Grey and Lucas Silva. Encouraging students to read for pleasure is at the core of what we do. 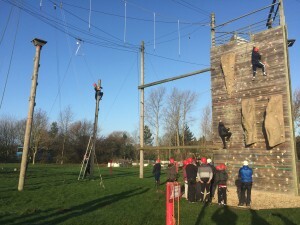 Y11 have now returned from their ‘boot camp’ event, where revision was combined with adventurous activities in a potent cocktail of learning and fun. Many thanks to parents/carers for encouraging/supporting/cajoling/insisting that their children attended. Thanks also to all the staff who gave up their time on Friday night (all night in some cases!) and Saturday to support the students. We still have a mountain to climb – but we are climbing it! Paradigm Trust is seeking to recruit qualified class teachers to work in its primary academies, all of which are based in Tower Hamlets. The application pack (linked below) includes the job advert for the role, a blank application form and the job description with the person specification. Applications from NQTs, and those expecting to have qualified in time for 1st September 2016, are warmly invited. Closing date for applications: 5pm, Wednesday 3rd February 2016. Interview date/times: Tuesday 9th February 2016 and Wednesday 10th February 2016. Your personal statement must address all aspects of the person specification if you are to be successfully short listed. Please note that as this post involves working with children, your suitability in this area will be tested at interview along with other key selection criteria detailed in the person specification. If you are successfully short listed, you will be asked to bring with you either an original driving licence, passport or full birth certificate plus a document such as a utility bill or financial statement that shows your name and current address, so that we may meet our statutory obligation to check your identity. If successful, you will also be required to complete an enhanced DBS (formally known as CRB) disclosure form either immediately prior to, or shortly following appointment. Furthermore, you are also requested to bring originals of any educational and/or professional qualifications upon which your application relies. Please contact hr@paradigmtrust.org if you have any questions. Appointments with each teacher will last for ten minutes. All meetings will take place in the school hall. Booking will be on a first come, first served basis and the booking system is now open. The number of appointments will, initially, be limited to five for each student to ensure that all parents/carers are able to participate. Nearer to the time, if additional appointments are available, we will release these into the booking system and notify you. You will also need to enter the details we have on record for you. If you have recently changed your title or surname, for example, and not informed us, we will be expecting you to login with the details we have on record. The email address you enter is only used to receive a confirmation of your appointment. If the system gives you an error when you login, it will not be the email address that is the problem. Subject teachers will meet with you and your child on an individual basis to provide clear feedback on your child’s learning. You will also have an opportunity to review your child’s exercise books. Students are required to attend, with their parent/carer. An abridged version of the academy improvement plan is available by clicking here. enhancing the personal development, behaviour and welfare of students. Getting Started contains information and advice on choosing your GCSE options, progression routes, employability skills and work in Suffolk, as well as links to useful resources to support young people with their options. 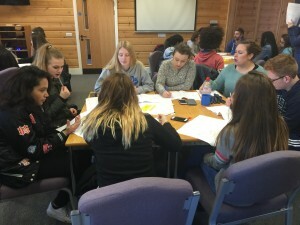 Getting Started is designed to get young people thinking about their future and developing their employability skills. Starting Out is a guide for parents/carers which explains their child’s options, the learning routes and qualifications available, and what support they can expect to receive. The way in which schools report on student achievement has changed. Schools no longer make judgments in terms of national curriculum levels. Please click here for a brief guide to the arrangements which are now in place. The Thinkuknow site is particularly helpful and there is a specific section for parents/carers.